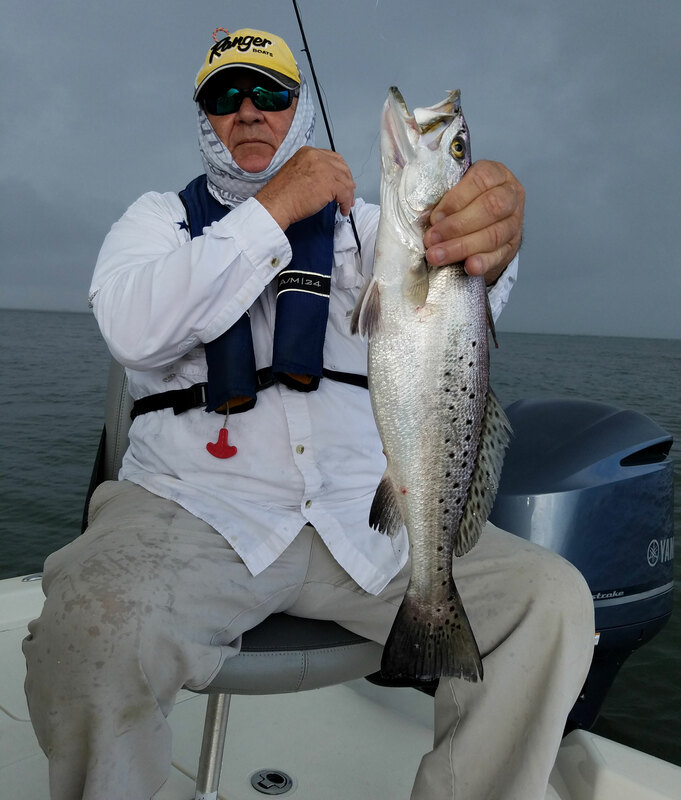 The calendar might say it's late January, but speckled trout out of Cocodrie are acting like it's April or May. The calendar might say it’s late January, but plenty of speckled trout out of Cocodrie right now are definitely not in their usual wintertime locations. In fact, Capt. Tommy Pellegrin has been tearing them up fishing the outside in open water this month — locations he’d typically be targeting in April and May. But that hasn’t been the case so far this winter. So why are specks stacked up in spots where they’d typically start gathering three months from now? Pellegrin didn’t divulge his outside honey hole, but he did say he’s fishing on a flat in 4 to 6 feet of water, with water 15 feet deep just a couple of casts away. “Don’t look at the calendar and say, ‘This is where they’re supposed to be.’ Look at where they are,” Pellegrin said. “Fish where the fish are. If you’re going to your typical wintertime spots and you’re not catching, guess what? They’re not there right now. Pellegrin’s bait of choice during the bite has been Berkley’s Rattle Shrimp in coastal candy or glow, fished either tight-lined or under a popping cork. At times during this run, the bite has been ridiculously fast, he said. A Berkley Rattle Shrimp in either coastal candy or glow has been Capt. Tommy Pellegrin’s main lure during a hot speck run in outside waters this month out of Cocodrie. 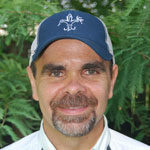 Pellegrin said traditional spots like the Sulphur Mine and Horseshoe Reef behind Last Island also have been good, and suggested targeting the northern coastlines of lakes out of Cocodrie. “Concentrate right now on the shell reefs, because the open mud bottoms don’t have as much bait on them as shells do,” he said. Trout have been pretty solid size-wise, with the bulk of fish in the 13- to 18-inch range, with plenty of 16-inch fish. When he’s not throwing the Rattle Shrimp, Pellegrin said Berkley’s Ribbed Shad in swamp gas and Ripple Shad in glow with a chartreuse tail also have been deadly. The good news is it’s relatively easy now to pick productive days to make a trip. “The weather patterns in late winter are pretty predictable,” he said. “Pick any calm day, because you’re out in open water and you can’t have any wind – unless an extreme cold front just came through and the water temperature plummeted. 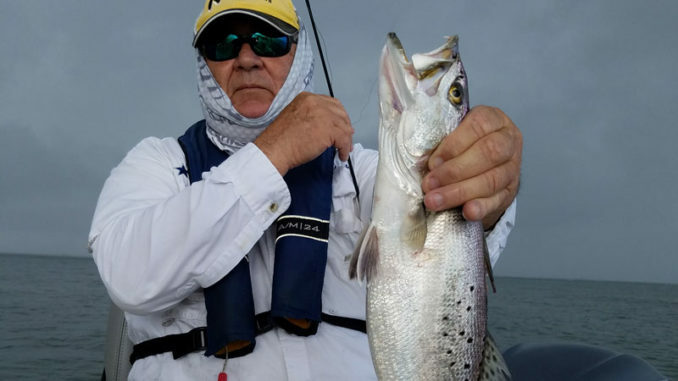 Even with today’s strong cold front coming in, Pellegrin expects the trout bite to rebound by the weekend — and he’s already predicting an early transition of specks out of coastal marshes this spring.